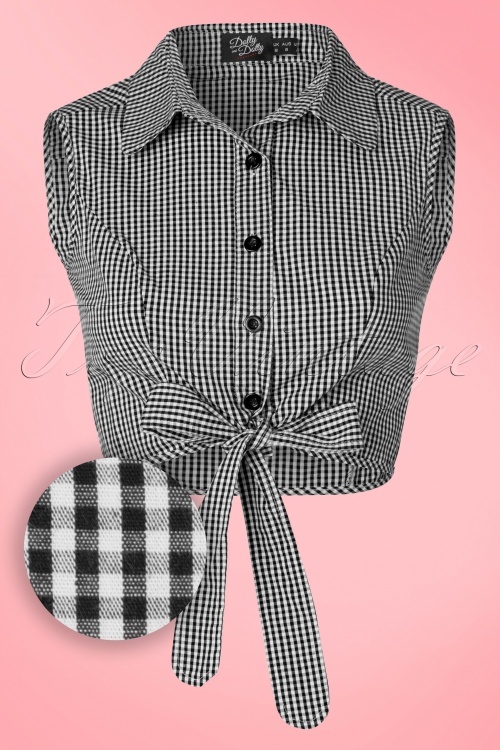 This sleeveless all over BB gingham print blouse in black and white is going to give every outfit that nice spring feel. 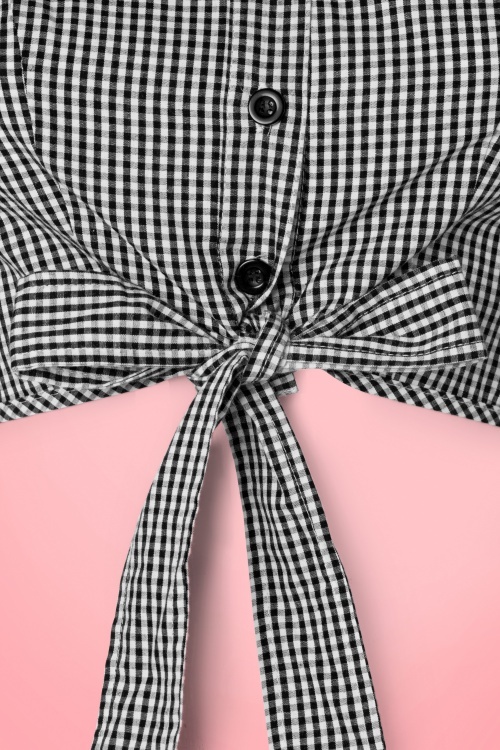 This shorter blouse is perfect in combination with high waist trousers or skirts, showing just a glimpse of the most flattering part of your belly, peekaboo ;-) This cutie features a collar and playful buttons with the possibility to tie a bow below. Made from breezy and supple cotton (doesn’t stretch! ), perfect for the upcoming warmer days. ‘Bow’ down for this cutie and add it to your shoppingbag before it’s too late! This top is absolutely amazing! Wear it buttoned for an causal day look or open it up for a more dareing approch. Ik weet nog niet helemaal hoe ik hem ga dragen, maar hij zit echt perfect!